Bauhaus‘ member Kevin Haskins will be releasing ‘Bauhaus – Undead: The Visual History and Legacy of Bauhaus’ on March 16 via Cleopatra Records. While this is an elegant and tasteful deluxe coffee table art book, it is also a historical and intimate trip through the development of this groundbreaking band from the perspective and memorabilia of one of the quartet’s founding members. Carefully curated from a largely unseen collection of memorabilia and combined with personal recollections by original member and author Kevin Haskins, this beautiful high end coffee table book (10’’ x 13’’ in 316 pages) takes readers on a visual journey from the bands inception in late 1978 to their breakup in 1983, through to their very successful reformation in 1998 and eventual legendary performance at The Coachella Music Festival in 2005. Bauhaus is one of the few groups of the post-punk era to achieve truly mythic status with a savory legacy of artful, timeless, dark rock and theatrical performances. Bauhaus has always been, and continues to be a pivotal link in the evolution and revolution of contemporary music. 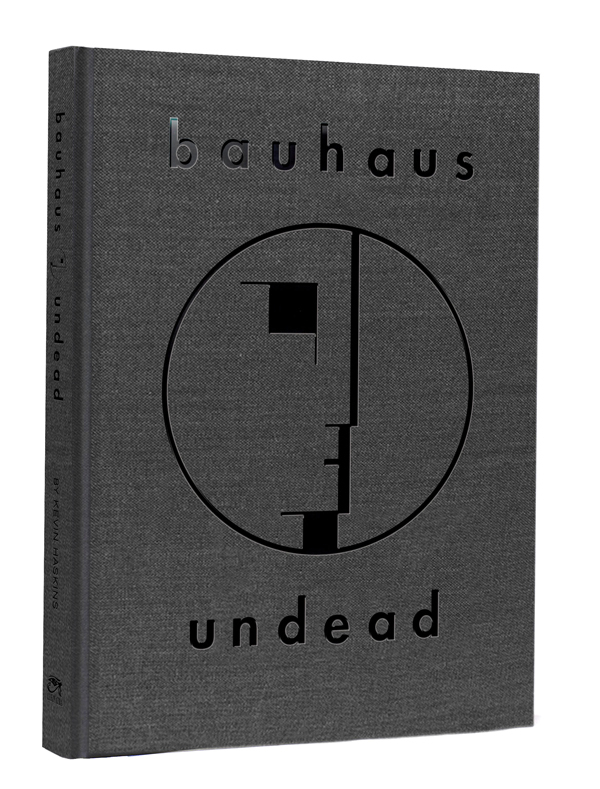 ‘Bauhaus – Undead’ features original stories penned by Kevin Haskins about poignant and sometimes amusing moments throughout the band’s hallowed career, as well as largely unseen materials, such as photographs from Kevin’s personal collection, band artwork and sketches, DIY flyers made by the band members themselves, backstage passes, show posters, set lists, contracts, tickets stubs, fan club material, pins, their recording schedule, vintage gear photos, tour itineraries, letters, a Bauhaus comic strip | and hand-written lyrics. Kevin has worked with the impressive design team of Jeff Anderson of Artist In Residence and Donny Phillips and Kaylee Carrington of KIHL Studio. The unique design reflects the bands stripped down aesthetic and art school origins. This is a fitting tribute and celebration of the legacy created by this revolutionary group. Bauhaus was formed by Daniel Ash in the small industrial town of Northampton, England in the Winter of 1978. Plucking Peter Murphyfrom his dead end job at the printing works, remarkably, he had no idea if he could sing and just recalled that he was the most charismatic looking one among his high school friends. His intuition was dead on! Following a couple of rehearsals in his parents living room, Daniel recruited the two brothers, Kevin and David Haskins, who would make up the band’s formidable rhythm section. After being together for only five weeks, the band recorded their legendary and timeless nine-minute single ‘Bela Lugosi’s Dead’, which remained at number one on the British Independent chart for two years. Three years later, the band performed the song for the dramatic opening scene of Tony Scott‘s sensual vampire movie ‘The Hunger’. Seminal and groundbreaking, the group was too busy following their own muse to chase after fly-by-night-trends. The pioneering spirit that fueled their work established Bauhaus as one of the most important and influential artists of the past three decades. Their eclectic influences ranged from Psychedelia to Punk, Dub Reggae to Glam, the latter surfacing most notably in their audacious cover of David Bowie’s ‘Ziggy Stardust’, which earned them their first national chart hit in October 1982. The band went on to record four critically acclaimed albums before disbanding in 1983. In 1998, the band reformed for an extremely successful ‘Resurrection’ World Tour, attracting a much larger audience than they originally enjoyed back in the day. They sold out three nights at The Palladium in Los Angeles in a record breaking fifteen minutes, attesting to the timeless quality of their music and their ever growing fan base. During its last decade, Bauhaus released a new studio LP ‘Go Away White’, toured with Nine Inch Nails, and played a legendary headlining performance at The Coachella Music Festival in 2005. Many Artists have name-checked Bauhaus as influences, including Radiohead, Bjork, Massive Attack, Sigur Ros, Nine Inch Nails, Tricky, Yeah Yeah Yeahs, The Flaming Lips, The Horrors, Jello Biafra, Marilyn Manson, Janes Addiction, Tool, Jarvis Cocker, The Red Hot Chili Peppers, Hole, Interpol, Skinny Puppy, The Smashing Pumpkins, and Nirvana, to name just a few. To mark its release, On March 16, Lethal Amounts and Cleopatra Records will present ‘UNDEAD ~ A Bauhaus Book Release and Signing Party’. While the doors at Lethal Amounts open at 7 pm, the book signing with Kevin Haskins takes places from 8 to 10pm. Books will be sold at the gallery or guests can bring your own copy to be signed, but no records, CDs or other outside merchandise will be signed. Exclusive and limited edition merch is also expected to be available at the event, which will also feature a special guest DJ set. In the meantime, copies of the book are now available signed and unsigned via Cleopatra Records at http://bit.ly/2qk1vzu. Signed copies will no longer be available after the street date of March 16. 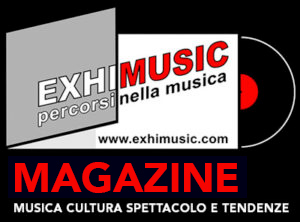 Oggi è Venerdi 19 Aprile 2019 – Sono le ore 07:06.